One of the most daunting questions you’ll face in thinking about retirement is when to start saving. Many factors affect this decision including mortgages, student loans, and other debts that must be repaid. Plus, if you have plans to travel the world when you retire, you may need to save more than someone who plans to stay at home. The sooner you get started on saving for retirement, the better. There are many books out there to help you with the planning process, or you can hire a retirement planner. A professional planner can make sure you haven’t overlooked any important aspect of your plan. If you can’t afford a planner at this stage in your life, you can at least get a good idea of what you’ll need for retirement by using the retirement planner on the Social Security administration website. Retirement is expensive. It’s the worst kind of expensive, leaving you with no income and, yet, you’ll still have bills to pay. Medical expenses can be devastating in retirement. If you already have a condition that requires regular medication, think about how you would afford that in retirement. 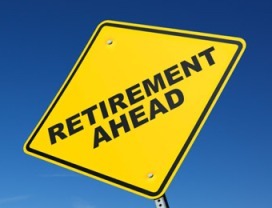 The key to a secure retirement is to plan ahead and realize that you’ll need about 70 percent of your pre-retirement income to maintain your standard of living once you’ve retired. You probably can’t afford the yacht and the country club membership if you’re like most people. Be honest about how you want to live in retirement and how much money you will need to have to accomplish that lifestyle. If you already are saving, for any reason, keep at it. Investigate different options for accruing interest on your retirement funds. You may want to try an approach that spreads your investment across several funds. The earlier you invest, the more interest you’ll accrue over time. Avoiding debt altogether is best, but for larger purchases such as cars, homes and education, it may become necessary to get loans. The best way to cope with debt is to pay it off quickly. You can save bundles of money by paying as little as $100 extra per payment. There are many extra payment calculators out there to help you see the benefits of making extra payments for yourself. But while paying off debt, continue to save – even it’s a small portion of your paycheck every week. The earlier you save, the less money you need to retire. For example, people who start saving in their 20s need to set aside $225,000 toward retirement, because that amount has longer to accrue interest. By age 30, that amount increases to $392,000, and if you don’t start saving until you’re 40, you’ll need $660,000 socked-away to live comfortably. Keep in mind that with advances in modern medicine, people are living longer than ever before. So plan to live to a ripe old age and start saving now. Lindsey Harper Mac is a writer and editor living in Indianapolis. She specializes in writing about education, social media and technology.